Alas, summer’s drawn to a finite close and the weather is making way for autumn and its wardrobe of many colors. Out goes the days of short shorts, tank tops and suntans; and in comes sweaters, pumpkin spice everything and Halloween. With the change in seasons, you may be feeling it’s time for more change of the personal variety. We’re talking about your hair, of course! You’re already swapping out your wardrobe, so why not make a few changes to your hair to match? If this interests you, but you’re a little stuck on the details, we’ve put together a handy list of cute, but easily maintainable hairstyles you can try this fall! Bangs: Not Just for Straight Hair Anymore! Yes, you read it right! Even curly girls can rock a cute fringe this year. Such a luxury is no longer reserved for straight hairstyles. How can this be done? First, you’ll have to invest in some quality hair care. Curly hair is already hard to maintain, so adding bangs to the mix could easily put you at risk of rocking the poodle hair look if you aren’t dedicated. Luckily, the maintenance for curly bangs is easy! 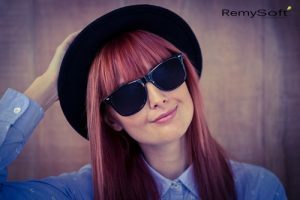 All it takes is some anti-humidity products to ensure your hair is able to handle the fall humidity with more ease, as well as blow drying while your newly cut bangs are still wet to make sure they have enough length on them. You no longer have to reserve your cute barrettes and combs or your fancy, swooshy updos for special occasions. Thanks to international fashion designers, intricate hair decorates are in, and the best way to show them off is by putting your hair up. Feel free to decorate as much as you please! The sparklier your accessories are, the better. Of course, this look is meant to be dramatic, so it may be best to coordinate this kind of hairstyle with an event or outfit that can accommodate it all. If you’d still like to rock this look in a more casual setting, you can always strategically place your accessories in less noticeable places throughout your hair, or not use quite as many. 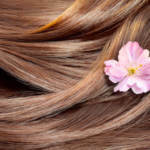 Be sure to wash your hair with sulfate free shampoo and conditioner first for extra luster! This vintage look is also making a comeback this year, and just in time. 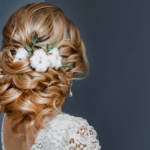 What could be more elegant than all of your hair tucked to one side of your head, not quite as neat as the tightly waved styles we’ve seen for formal events, but more messily waved in a casual look? This style is perfect for those who don’t want to put tons of effort into their hair, but still want to look like they did. Just be sure to use some sort of product to help the style set. This style is easy to pull off with hair extensions as well, so consider looking up how to care for hair extensions if you want to add some length before trying it. We hope these style suggestions have given you inspiration on how to style yourself this fall! For more tips on quality hair care, hair styling and related subjects, feel free to contact us! That’s wonderful. This is very fabulous and useful.